UNITED NATIONS, New York – Violence against women continues to be the most pervasive human rights violation in the world. Roughly one in three women experience physical or sexual assault in her lifetime – and this figure may well be an underestimate. On Wednesday, the European Union and the United Nations jointly launched the Spotlight Initiative, a global partnership to end all forms of violence against women and girls by 2030. The EU is contributing €500 million to the effort, which will be led by three UN agencies: UNFPA, UN Women and the UN Development Programme. The Spotlight Initiative will address all forms of gender-based violence, including sexual abuse, physical assault, domestic violence, economic exploitation, and harmful practices such as child marriage and female genital mutilation. The EU will play a central role in advancing the initiative, committing not only resources but also its own efforts with governments and civil society organizations. The goal is for these efforts to reach the attitudes and behaviors of real people. The initiative will start with a focus on trafficking in women and girls in Asia, sexual and gender-based violence in sub-Saharan Africa, femicide in Latin America, and domestic violence in the Caribbean and Pacific. UNFPA is already addressing many of these issues through its existing programmes. These efforts will be expanded based on evidence showing what works. But patriarchal ideas are widespread. Surveys show that both men and women around the world blame victims and survivors of violence rather than perpetrators. Today, there is growing awareness that these beliefs are corrosive, not only to individuals but to all of society. 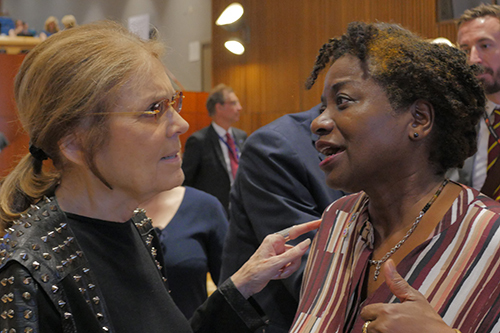 “Dominance and violence, it normalizes the idea that one group has a right to control other groups,” said activist and women’s rights icon Gloria Steinem, who spoke at the initiative’s launch. “There is increasing evidence that violence against women and girls is linked to other acts of violence, including violent extremism and even terrorism,” said the Secretary-General. The new initiative offers hope that change is over the horizon. And there are already signs of progress. 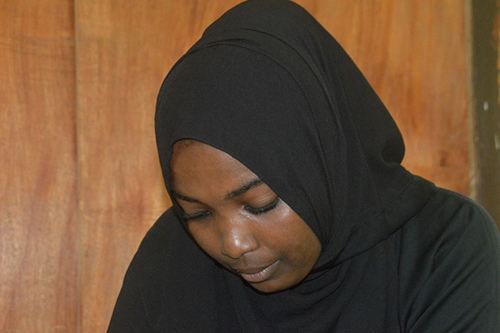 In Comoros, 21-year-old Fazlat Said Salim was slapped and threatened by her uncle. “I lived in fear,” she explained. Her friends advised her to go to the national police station. There, she was relieved to find the staff took her case seriously.